Few places offer a greater symphony for the senses than this magical stretch of beach along the Gulf Coast. The lapping of waves. The crystalline turquoise water. The salty perfumed air. In an era of unlimited excess, Kaiya’s sun-soaked beaches dipped in powdered sugar are as real as it gets. 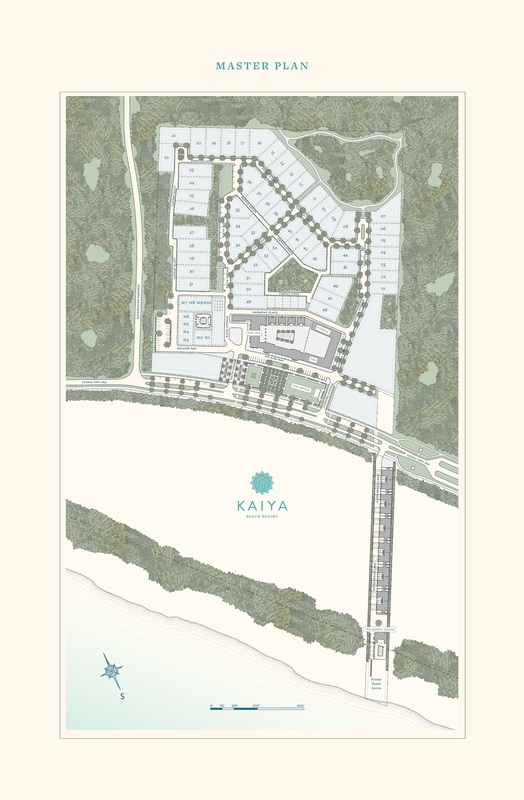 Kaiya is located along highly coveted Highway 30A where everything — and everyone — in South Walton County, Florida come together. With ample sunshine and accommodating temperatures, life at Kaiya is ripe with recreational options. Designed by world-renowned Khoury & Vogt Architects, the purpose of Kaiya is to preserve, protect and enhance the natural beauty of this land. A retreat where you will feel carefree and cared-for with the perfect combination of natural beauty and modern convenience. There’s no greater luxury than unencumbered time. Time to relax. Time to share. Time to enjoy. As patrons of the path less traveled, enter through the Palmeral and lose yourself in Kaiya’s unique culinary, recreational and hospitality experiences. The entrance to Kaiya from Highway 30A leads into The Grove. This lush green space welcomes visitors with creative landscaping, fountains and garden paths, while also buffering the resort from the outside world. A gracious spaciousness permeates the resort, as 35 percent of its lands are set aside as greenspace. Near The Grove sits a boutique Inn featuring luxurious rooms, restaurants focused on farm-to-table fare, and a shimmering pool. 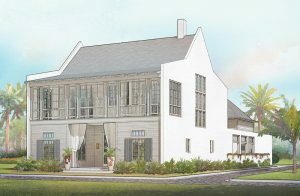 The Inn’s reception area will serve as the community’s ‘living room,’ with locals and visitors gathering for morning coffee, lunch appetizers or evening cocktails. In the adjacent restaurant, a lounge area replaces a traditional bar, again encouraging guests to relax and mingle. Blurring the lines between indoors and out is a theme throughout the resort. The restaurant is one example, as dining areas spill outdoors onto a pool deck and into The Grove. Great meals have a way of bringing people together in a way that is truly special. This type of culinary experience will be an essential ingredient at Kaiya. Chapter One includes the Villa Anamaya and Villa Sariya, two distinctive home designs, along with the Mews, courtyard-style cottages centered around a grand swimming pool. VILLA ANAMAYA :: Residents seeking a bit more space may choose a Villa Anamaya along Kaiya Avenue or Dapple Green. 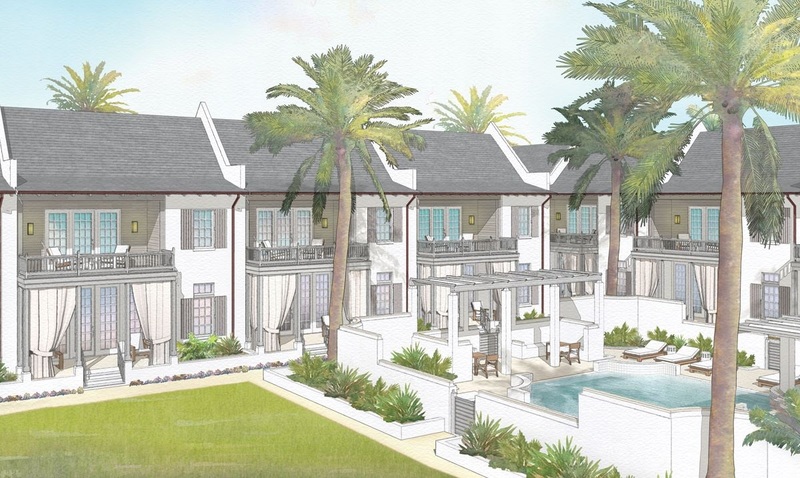 With some of the largest lots on 30A and an intentional combination of indoor and outdoor living space, you are always exactly where you want to be. VILLA SARIYA :: Buffered between the village green and a large swath of native flora, a Villa Sariya home strikes the ideal balance for those residents seeking both the space to entertain and get away from it all. Private summer kitchens and large combined living and dining spaces mean your time can be as intimate or inviting as you wish. 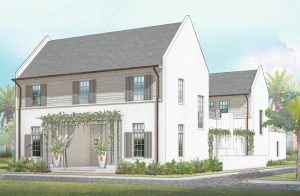 THE MEWS :: A community within a community, The Mews cottages offer residents convenience coupled with privacy. The Mews pool is mere steps away from many of the front porches which encourage an impromptu dip or a convivial cocktail with friends in the shared summer kitchen. At the heart of this exclusive resort community is the Kaiya Club, a members-only organization devoted solely to enhancing the joys of beach life. With its curated collection of VIP benefits, Kaiya Club members have access to a variety of extraordinary experiences. With its curated collection of VIP benefits, Kaiya Club members have access to a variety of extraordinary experiences. Many amenities in the Kaiya Beach Resort are reserved exclusively for Kaiya Club members and guests. THE TERRACE AT THE INN :: Admire shimmering azure waters while overlooking the pool from The Terrace, a privilege reserved exclusively for the Kaiya Club. From a family luncheon to a romantic dinner, the Inn’s restaurant is at your service. THE POOL :: Escape the crowds and the heat at the resort swimming pool, located within the Inn. Members may reserve lounge chairs arranged by personal attendants. THE LIBRARY :: A good book is a necessity of beach life. Trust Kaiya’s literary experts to curate a diverse selection for readers of all interests. Located within the Inn, the library will also host readings and discussions from visiting authors.